Not too long ago, there was an unfortunate incident with my computer that left me to work only with my wife’s unhappy laptop. I installed Linux on it (LXLE for those of you who care), but it was still poking along and giving me problems. That’s when I saw a Chromebook for sale during a sale on woot.com. This isn’t unusual – all of the major retailers seem to have near-constant sales on Chromebooks – I just happened to be passing by Woot when they had this offer. This computer had specs better than my existing laptop, along with the Chrome operating system. This OS is known to be fast, so I dropped $150 to get one. It was love at first sight. Fast, long battery life, and simple to use. Until I started doing work on this website. It was still fast and simple, but just wouldn’t do some of the things I really needed (graphics were a particular problem). I went from being a happy man to a sad camper. I would not have been able to bring you this picture of a flying squirrel on a regular Chromebook. To ease my sorrow, I decided to do a bunch of random web surfing. And that’s when I found it: Instructions on how to make my Chromebook into an awesome Internet killing machine. It was clear that if I wanted a real computer I’d have to add a new operating system to the Chromebook. Unfortunately, the good folks over at Google have already decided that they really want you to use Chromebooks only for the Chrome OS. Obviously, this presents a problem. Much like the Gordian Knot, which I use as an example to make myself look smarter than I really am. Fortunately, the Internet is full of people who have lots and lots of time on their hands. As a result, I went from having a regular Chromebook (which is a pretty nice computer, truth be told) to a Chromebook that runs Ubuntu. This computer is also fanless (i.e. it doesn’t need a cooling fan because it doesn’t get hot), thin (2 cm), and light (about 1.5 kg). The following are instructions on how to make your Chromebook into a real computer. There’s very little danger in doing this, but I want to give you the usual disclaimer that if the world comes to an end because of this sort of tinkering, you’ll hold everybody but me responsible. You also agree to erect statues in my honor so future generations will gaze upon my serene visage. Keep in mind that this computer may not be identical to what you’ve used in the past, and you may have problems with printing if you’ve got a weird printer. Of course, this is true for any computer of any kind, but I just wanted to put it out there so you wouldn’t be shocked if it doesn’t work the first time you play with it. Anyhow, if you’re ready, let’s get going! If you buy something Intel-oriented, I’d go for something with a little power. Atom processors are OK, but I’d probably go with either a Celeron processor of some kind. There are also Chromebooks that use the Intel Core chips (i3, i5, i7), but those seem like overkill for the average consumer. Go with at least 2 gb of memory – 1 gb is too little to make it work right, and 4 gb is probably overkill for the average user. The size of the internal drive will affect how you use your computer. My Chromebook has a 32 gb solid state drive (SSD), which means that it’s good for running the operating system and holding any downloads I make. For more storage, I use a 1 Tb external hard drive, which is nice because I can take it off when I’m using the computer to surf the web at Starbucks. The Starbucks manager has, however, asked that I stop looking Halloween costumes. Above all, don’t pay full price! As mentioned before, there are constantly deals on Chromebooks (and all computers, for that matter), so don’t pay full price like a sucker. The following are retailers that I’ve had good luck with (and their lowest Chromebook prices as of 7/29/15), but I’m sure you can find comparable or better deals if you peek around a bit more. (Note: I’ve listed the cheapest quality Chromebook here. There are cheaper, but they may not be what you’d like). As you can see, there’s no shortage of places to get a reasonable Chromebook. Now that you have a Chromebook, it’s time to get this sucker outfitted for the world of Linux. This isn’t as stupid as it might sound, as ChromeOS is already a version of Linux, so it’s not like we’re trying to get the computer to do something really weird. Normally, computers are designed to be secure little beasts. Chromebooks are especially good at this, but in order to change things, you have to crack into the core workings of the computer to change how it works. To get into the developer mode, simultaneously press the escape button, refresh button, and power button. The escape button is at the top left and says “esc”, the refresh button looks like the refresh button on the Chrome browser (a circle with an arrow in it), and the power button looks like a power button. Go ahead, press them all. If you’re lucky, you’ll now see a screen that has terrifying messages on it – things like “Chrome OS is missing or damaged” and it will encourage you to put a recovery USB into the drive. Instead, hit the “ctrl” and “d” buttons at the same time. You’ll now have a fairly long wait (10-25 minutes) while the computer is “Preparing system for developer mode.” As it indicates, don’t turn off the computer until it restarts. When it does restart, you’ll see a screen warning you that “OS Verification is OFF. Press space to re-enable” along with a red exclamation mark. Wait for a minute or so and you’ll hear a couple of beeps, after which you’ll boot into the normal ChromeOS. Which will make you wonder why you spent all that time doing things until you continue your quest for computer awesomeness. You’re going to need to download a program called Crouton. You can do this by visiting http://goo.gl/fd3zc. It’ll ask you where to save crouton and you can just save it into the normal Downloads folder. That done, simultaneously hit the “ctrl” + “alt” + “t” buttons. This will put you into a magical place called the Terminal. If you like to play with Linux, you’ll get to be friends with the terminal in no time. Once the terminal is open, type “shell”. You’ll now see something that says “chronos@localhost / $”. What this means is that the computer now sees you as somebody named “chronos@localhost” and it’s waiting for you to do something. You should now type: “sudo sh ~/Downloads/crouton -e -t xfce” and hit enter. There will be a lot of stuff that scrolls down the screen and you should wait patiently until you see the “chronos@localhost / $” prompt. At this point, you’re ready to see the magic that you’ve made happen. When you’re at the command, type “sudo enter-chroot startxfce4”, followed by “sudo startxfce4”. You will now enter the world of Ubuntu Linux. It’s like Narnia, but for nerds. Step 3: How do I get back? And what do I do when I get started? I’m scared and lonely! If you’re a little overwhelmed at this point, don’t be. Before I tell you about how to get things working the way you’d like, I’d first like to tell you how to get back to where you started, and how to boot this thing. It depends. On my computer I press the “shift”+”alt”+”ctrl”+”→” buttons. I’ve also heard that “ctrl”+”alt”+”→” will work for some others. This will take you back and forth between the two, which is cool. Log out – same as everywhere else! When you restart your computer, hit “ctrl”+”alt”+”t” to give you a terminal, followed by “sudo start xfce4”. Voila! You’re back! Step 4: How do I set up this Linux thing? When you get back into Linux, you’ll see panel at the top of the screen with the data and a picture of a mouse on the left. On the bottom there will be a panel with some icons corresponding to different programs. And on the desktop you’ll see about a million weird looking icons. Web Browser: NetSurf Web Browser. Very fast and no surprises. Open a terminal window. You do this by pressing the icon at the bottom of the screen that looks like an arrow with a line after it. At this point, you’ll be asked for your username and password. If you haven’t yet put those in, you’ll need to invent some for yourself. Make it easy to remember so you can make further changes. When all of the computer magic has happened, just hit the mouse at the top left and you’ll find the Lubuntu software center under the “accessories” tab. Open that up and you’ll be able to download anything you want. Word processor: Most folks use LibreOffice – it’s in the software center. Web browser: NetSurf is fine. If you prefer Firefox, you can get it from the software center. If you like Chrome, you can get the open-source version (named “chromium”) at the software center, or visit http://www.google.com/chrome/index.html to get the real deal. Media player: The VLC media player is great and you can get it at the software center. Graphics: For a simple one, Kolourpaint is great. If you need a little more, try GIMP. Both are in the software center. Skype: It’s not in the software center, but very easy to get at www.skype.com/en. As for games and other applications, you’ll undoubtedly find either what you want or something nearly identical to it on the software center. If you’re not sure what you’re looking for, Google “linux alternative to…” for whatever you want and you’ll find it. Now that you’ve done all of this, you’ve got an awesome and very inexpensive computer. Use it for good and not for evil, because if you use it for evil you’ll probably void the warranty. 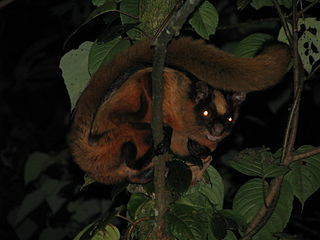 Flying squirrel: By Umeshsrinivasan (Own work) [CC BY-SA 3.0 (http://creativecommons.org/licenses/by-sa/3.0)%5D, via Wikimedia Commons. 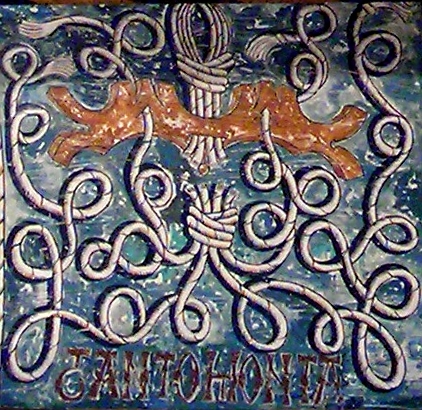 Gordian knot: By jmerelo [CC BY 2.0 (http://creativecommons.org/licenses/by/2.0)%5D, via Wikimedia Commons. 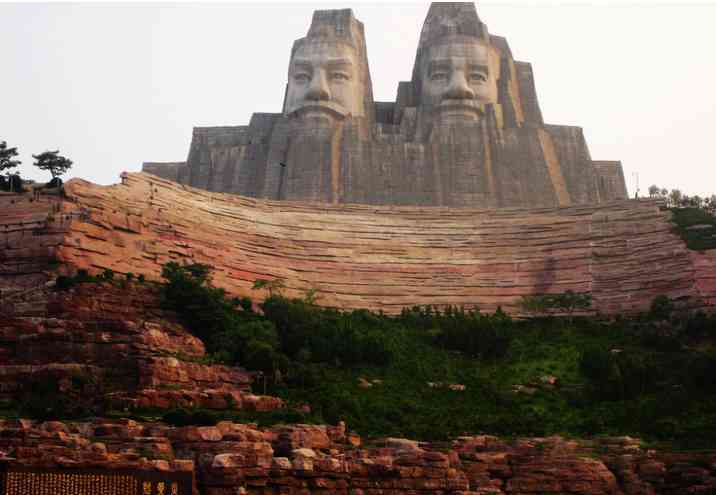 Big statue of two guys: “Yan and huang” by Qilainik – Own work. Licensed under CC BY-SA 3.0 via Wikimedia Commons – https://commons.wikimedia.org/wiki/File:Yan_and_huang.jpg#/media/File:Yan_and_huang.jpg. 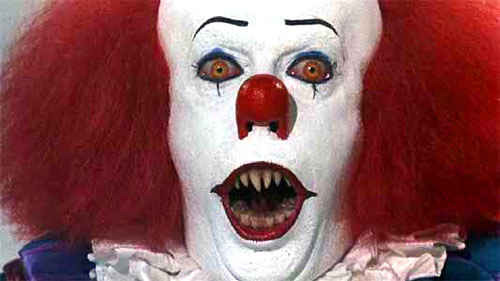 Scary clown: I got this image off of Google, which stated that it was OK for reuse. I am hoping this is true, but if you find that it’s not, please let me know and I’ll take it down lickety-split. For those of you unfamiliar with your terrifying clown trivia, this is Tim Curry playing Pennywise the clown in Stephen King’s It. Narnia lion: “Narnia aslan” by Sam StearmanOriginal uploader was Angr at en.wikipedia – Transferred from en.wikipedia; transferred to Commons by User:Beria using CommonsHelper. 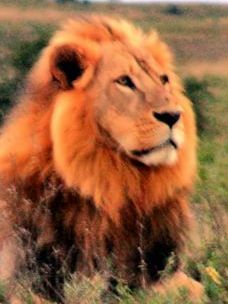 (Original text : Cropped from en:Commons:Image:Lion in Kenya.jpg)This file was derived from: Lion in Kenya.jpg. Licensed under CC BY-SA 3.0 via Wikimedia Commons – https://commons.wikimedia.org/wiki/File:Narnia_aslan.jpg#/media/File:Narnia_aslan.jpg.